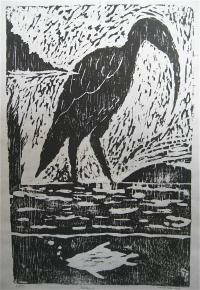 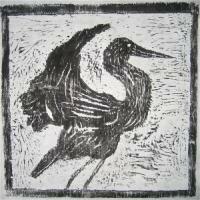 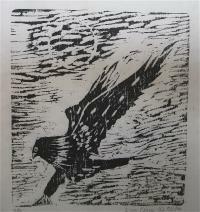 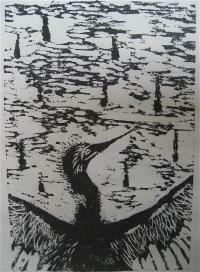 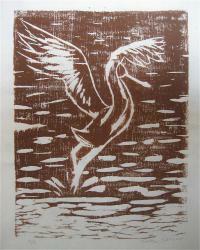 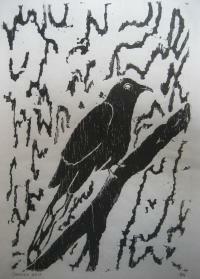 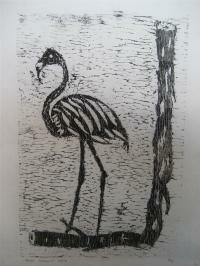 The images below are woodcuts completed by Professor Scalises' students after visiting the Center. 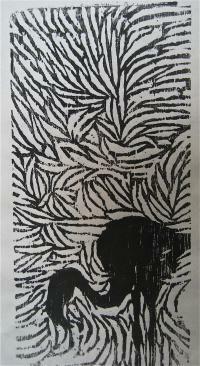 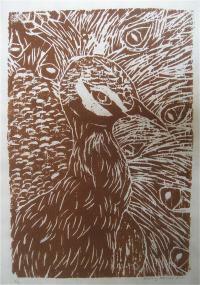 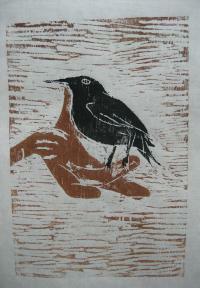 Students in Two- Dimensional Design printed 3-4 prints from a wood block and have donated one print to be auctioned. 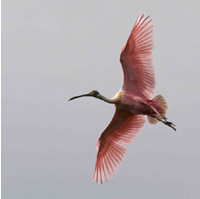 Checks will be made out directly to the Florida Keys Wild Bird Center. 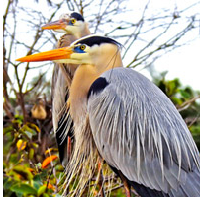 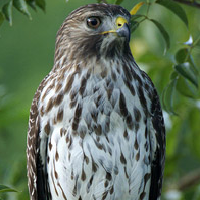 the importance of coexistence with all wild bird species."